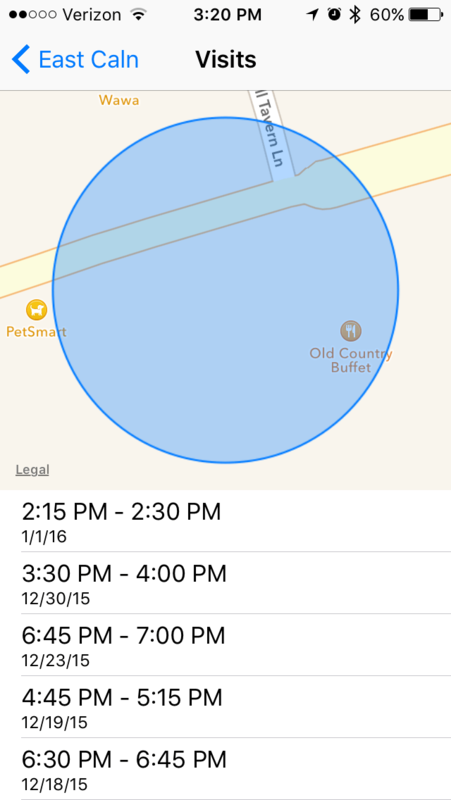 [Solved] Is My iPhone Tracking Where I've Been? If you are running iOS 7 or higher, then yes, your iPhone is indeed tracking where you’ve been. But, it promises to only use that information for entirely benevolent reasons. Honest! Allow your iPhone to learn places you frequently visit in order to provide useful location-based information. See, like I said, completely altruistic! While I might trust my iPhone to be amoral, I’m not so sure when it comes to the most profitable company (Apple) on Earth. Let’s just say the jury is still out. 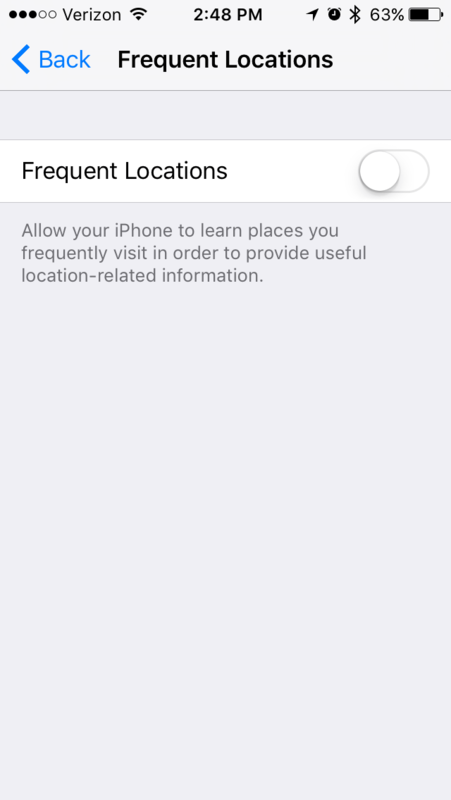 If you are uncomfortable with Apple storing your frequent locations, here is how you can disable this feature. 4. Scroll down and tap System Services. 5. Scroll down and tap Frequent Locations. 6. Slide Frequent Locations to the left to turn it off. Note: It’s probably a good idea to tap the Clear History button (bottom of screen) first before turning off Frequent Locations. A few days ago, I posted a screenshot of my Notification Center showing travel time to my Next Destination, something iOS 7 had learned about me without any sort of data input of my part. A few people asked me how I managed to get this information in my Notification Center. I believed it was a commonly used feature of iOS 7, but apparently I was wrong. You should also know that Apple says this information never leaves your device. Your iPhone will keep track of places you have recently been, as well as how often and when you visited them, in order to learn places that are significant to you. This data is kept solely on your device and won’t be sent to Apple without your consent. It will be used to provide you with personalized services, such as predictive traffic routing.